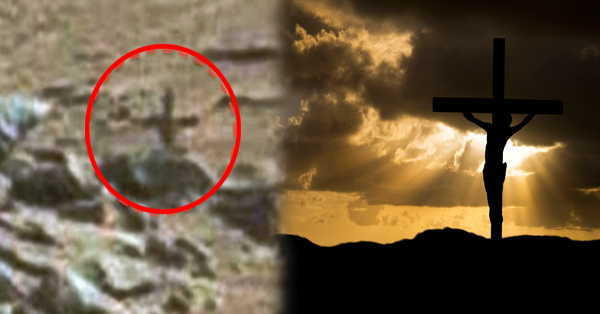 VIRAL: Crucifix was Found in Planet Mars by UFO Hunters! One of trending topic online today is about the UFO hunters in France who spotted a crucifix structure in Mars planet. Many of them claim that the image which appeared on their mission is surely amazing and incredible. They noticed that the cross sliced the stone structure thing in one land in mars where it is placed. Alien enthusiasts think that this place could be the site where aliens give praise to god. Many people are giving their own side about this issue. Some said that this could just a piece of rock that accidentally formed through the storm. But there are still people who believe with the evidence shown by the hunters. This alleged photo from NASA of the crucifix on Mars is still under serious investigation. This surprising news was claimed by some people as a great signal that Mars red planet can be the next place to live for the next generation.